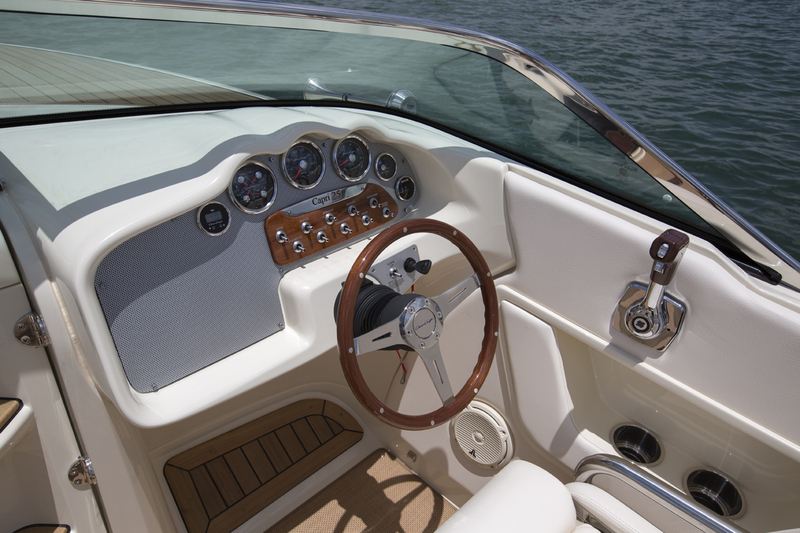 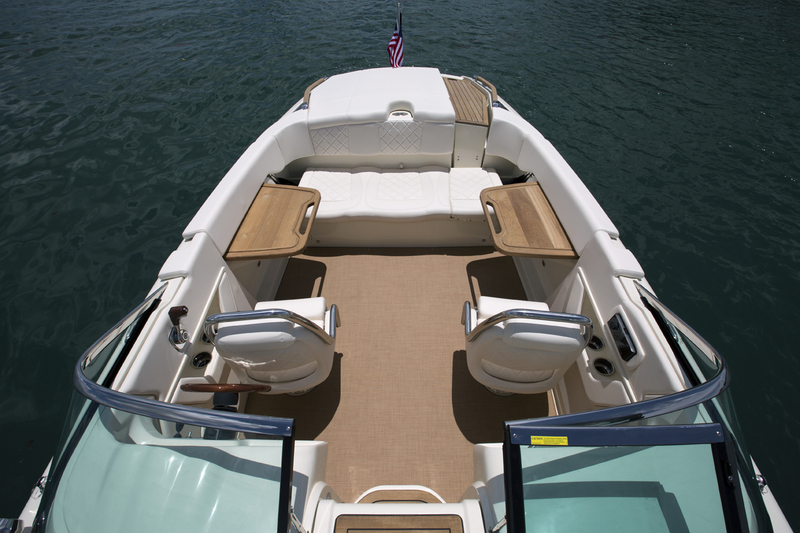 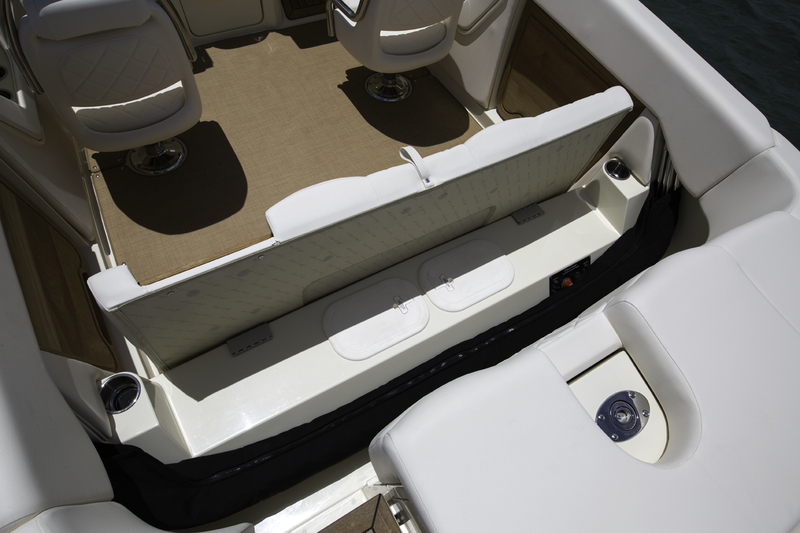 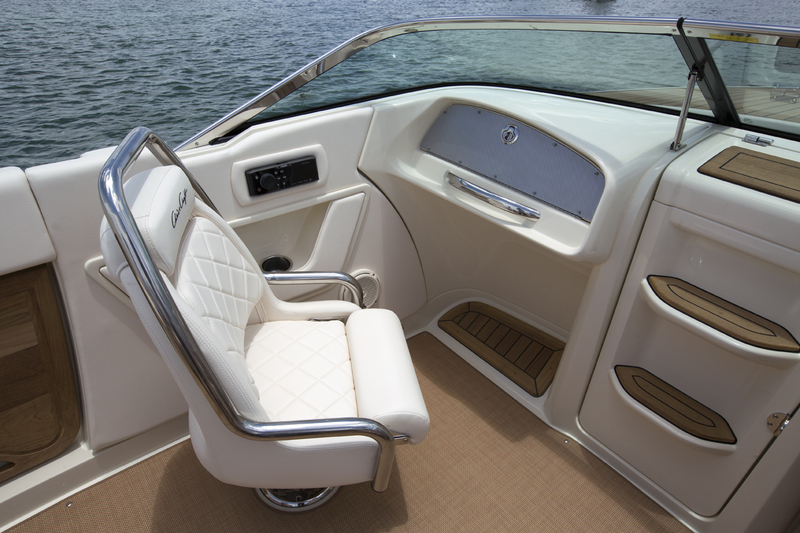 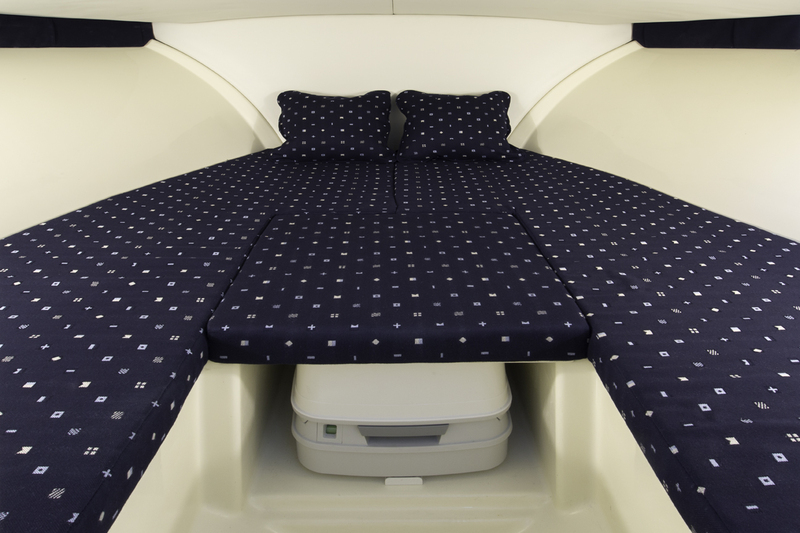 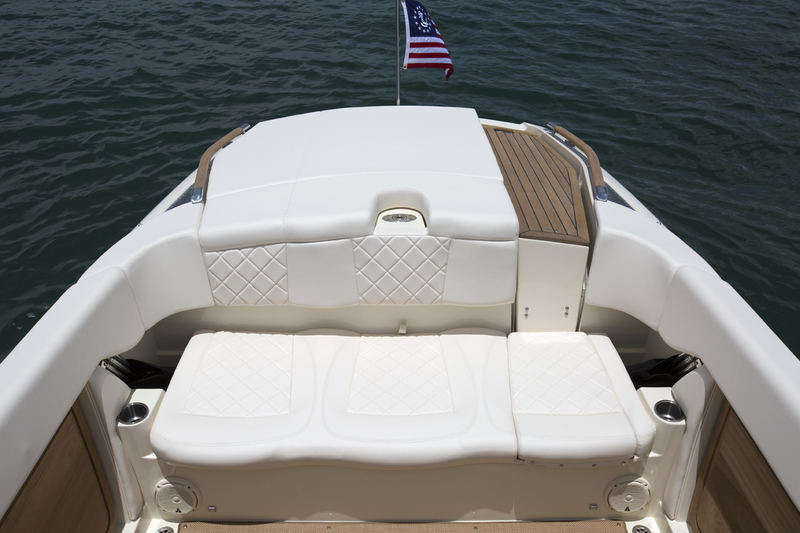 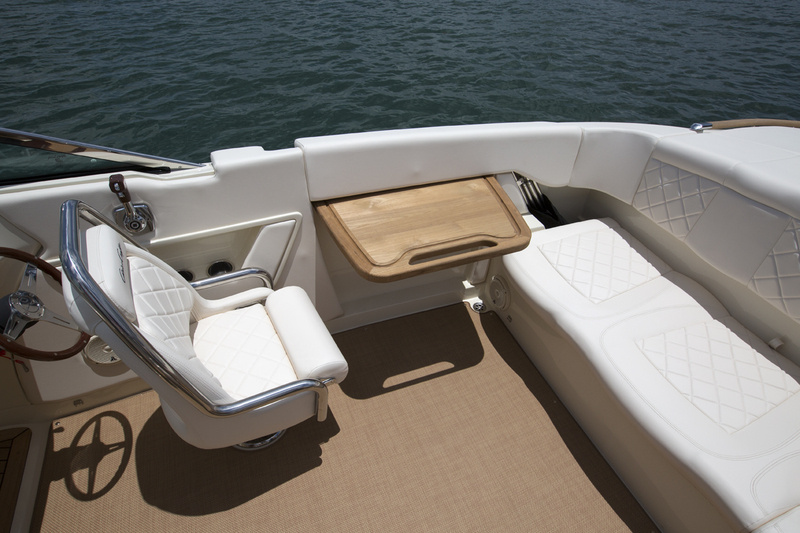 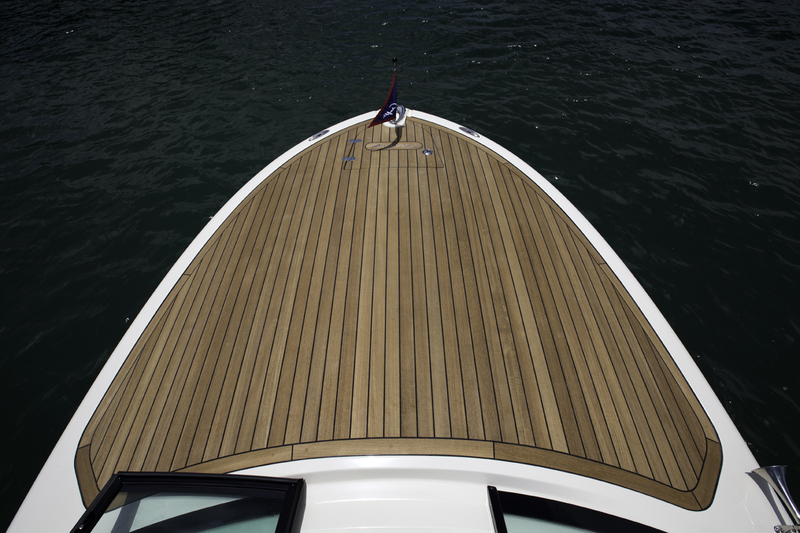 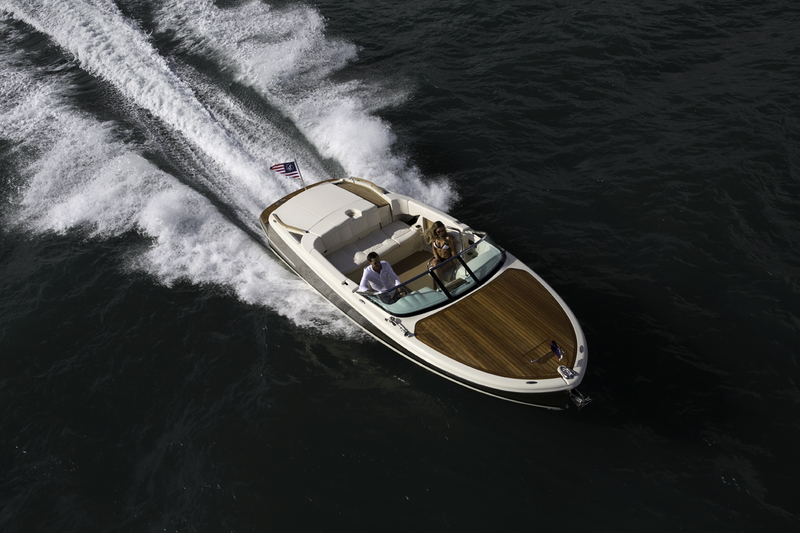 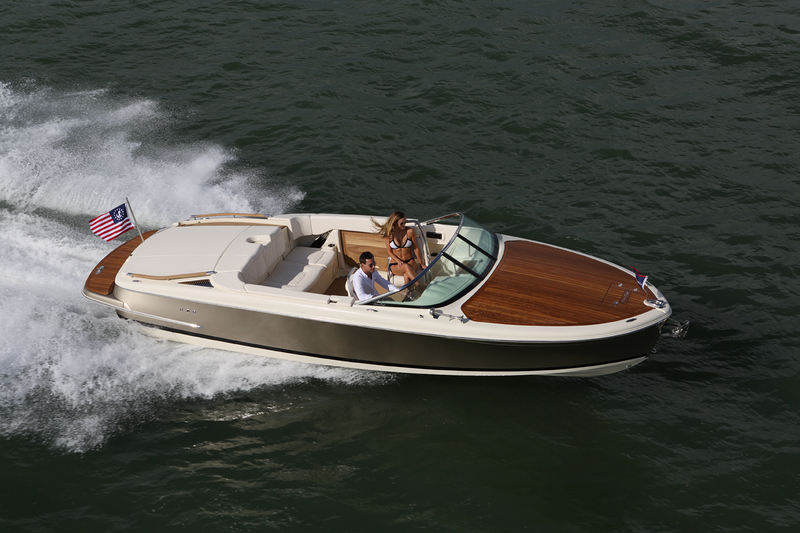 The flagship of the new Chris-Craft Capri series, the Capri 25 is breathtaking! 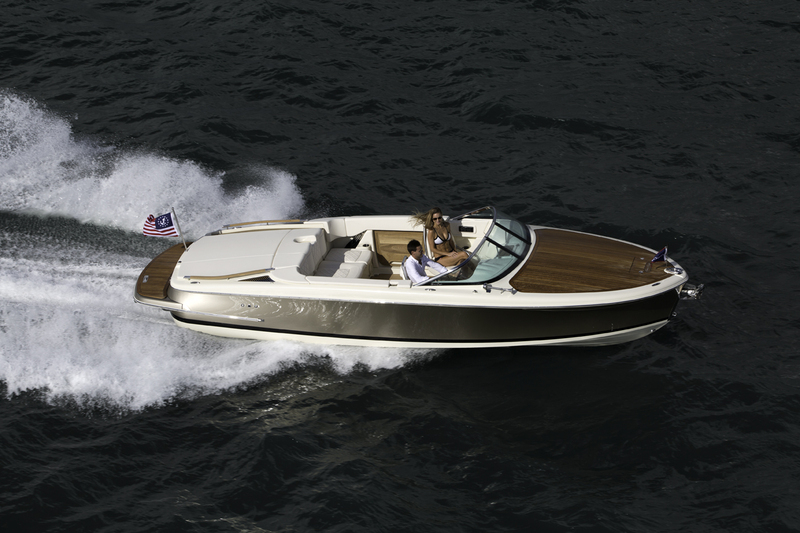 New vertical bow design with a classic flare. 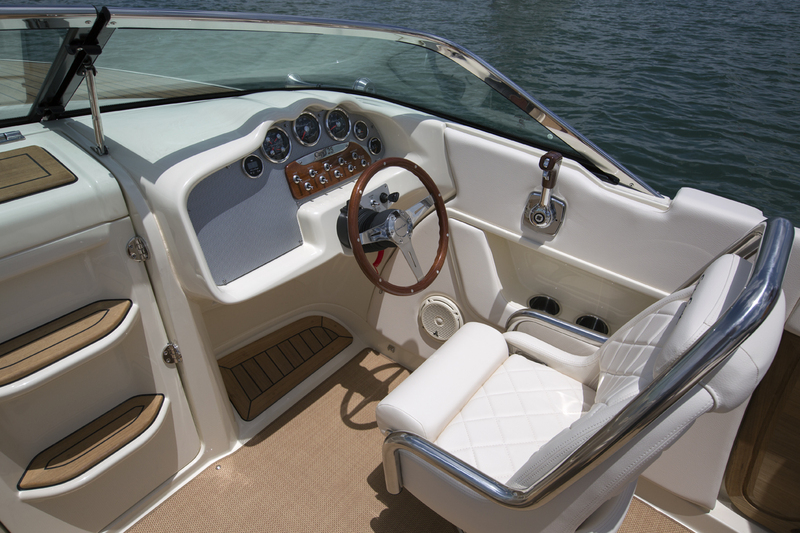 What makes this retro-looking runabout different is that it has a cuddy cabin up forward. 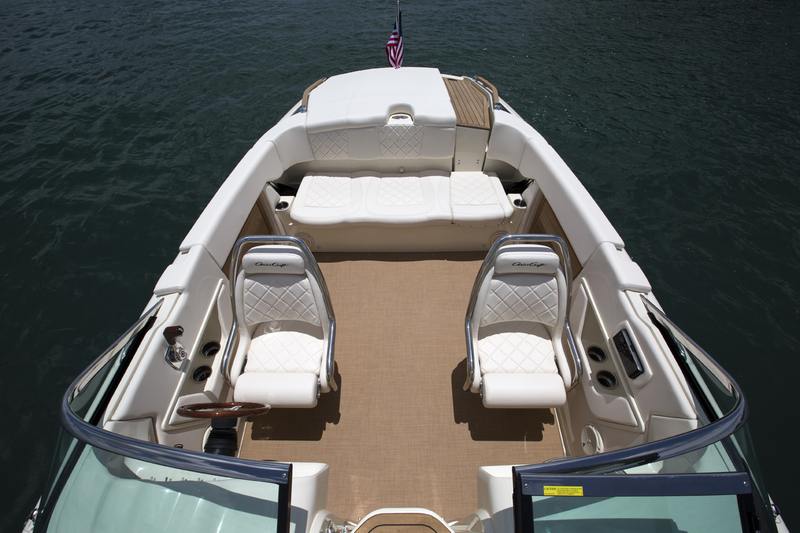 While that space is extremely utilitarian, it does expand the capabilities of a boat that might otherwise be relegated to day trips. 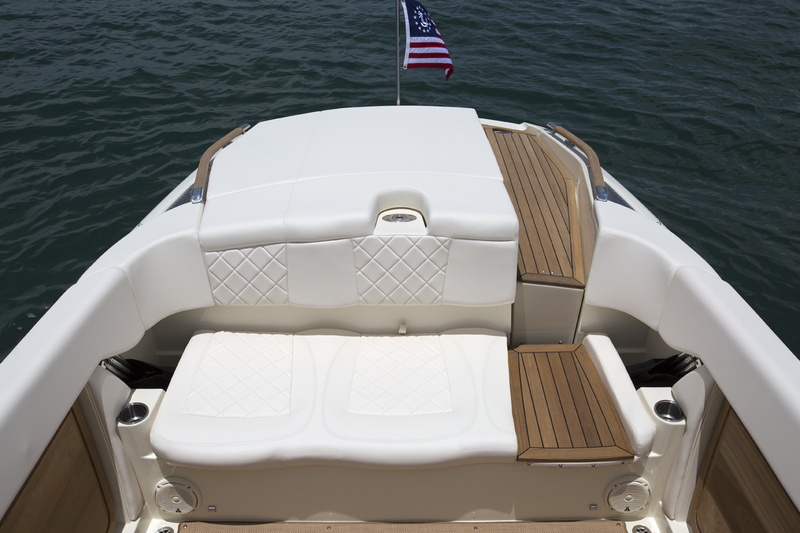 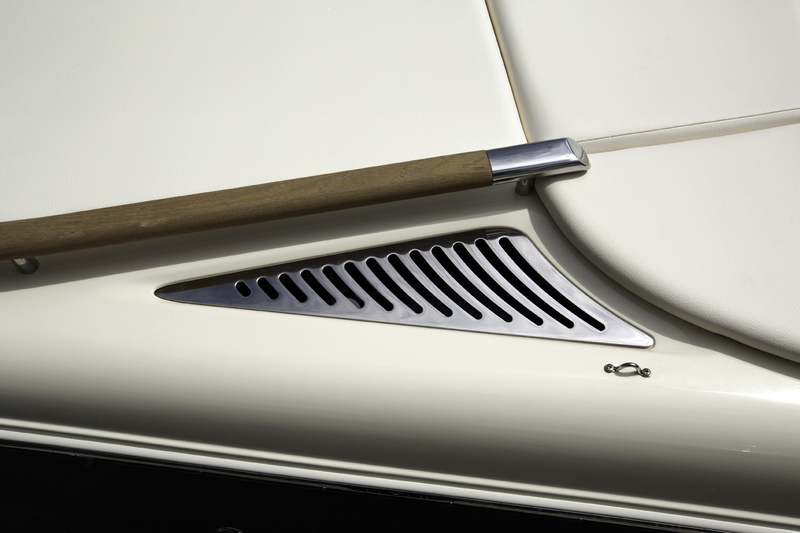 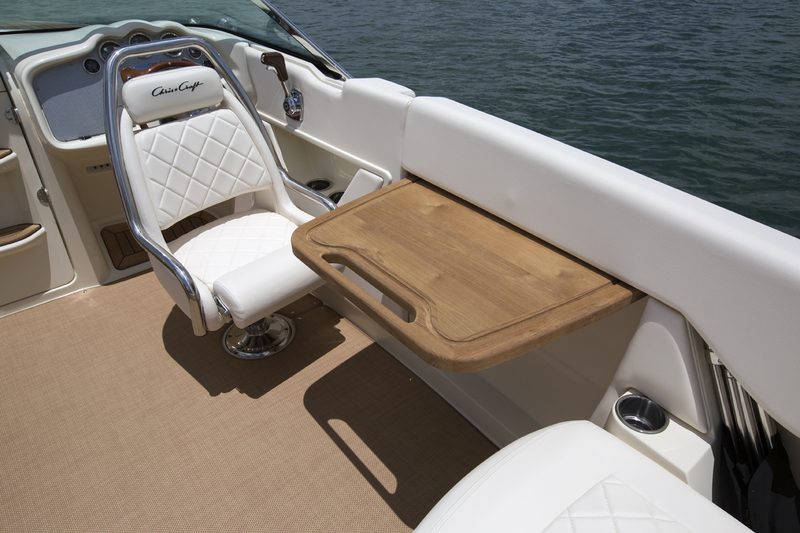 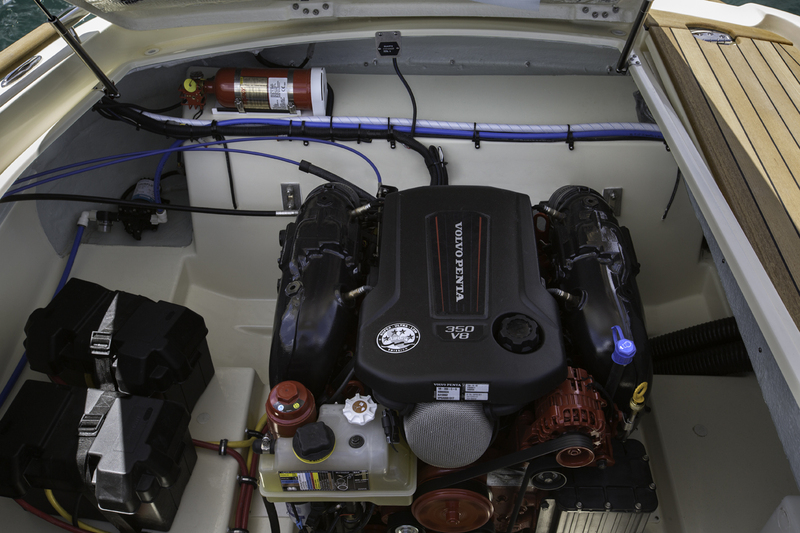 Add in some crafty entertaining accoutrements and you’ve got a runabout with cruising credentials.